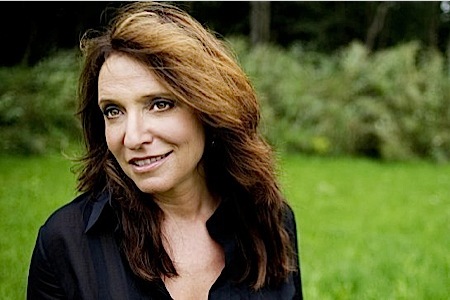 WMM: "The Female Gaze" at IDFA, DOCNYC, grant deadlines and more! We are very excited for this year's special focus at IDFA: "The Female Gaze," several days of film programming culminating in an afternoon of discussion, panels and debate on the role of women in documentary on November 22. 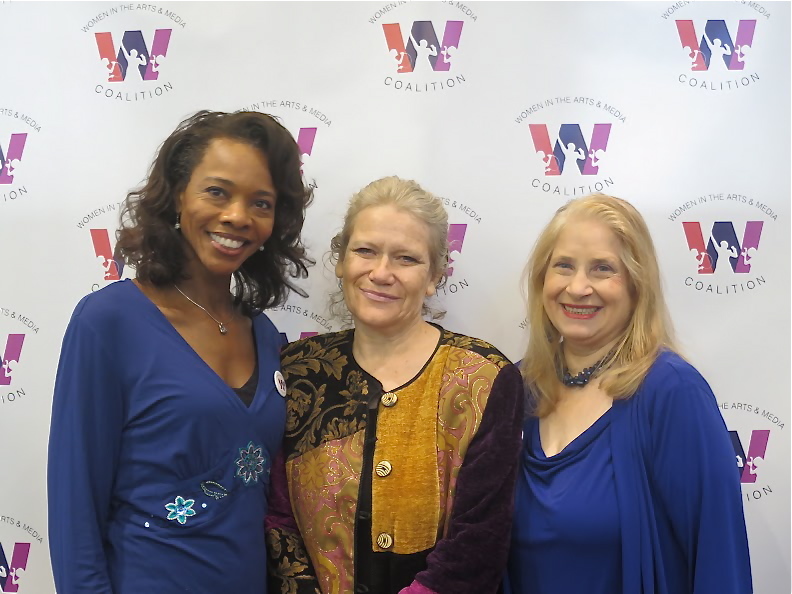 A group of 15 women directors, including filmmakers from our distribution program Kim Longinotto and Safi Faye, curated a program of 28 old and new documentaries directed by women, featuring WMM's FILMING DESIRE - A Journey Through Women's Film. You can see the entire list of films here. WMM continues its long tradition as IDFA attendees and supporters. Executive Director Debra Zimmerman and Acquisitions Director Kristen Fitzpatrick will be at IDFA all week! Kristen will be working with the IDFA Academy, and Debra will be speaking on a panel during the Female Gaze program on November 22. From our Production Assistance Program, CITIZENFOUR, 1971, and TEA TIME will be showing at the festival, and BLUE ID has been selected to participate in the IDFA forum. Distribution filmmaker Kyoko Miyake's (SURVIVING THE TSUNAMI) film TOKYO GIRLS will also participate in the IDFA forum. 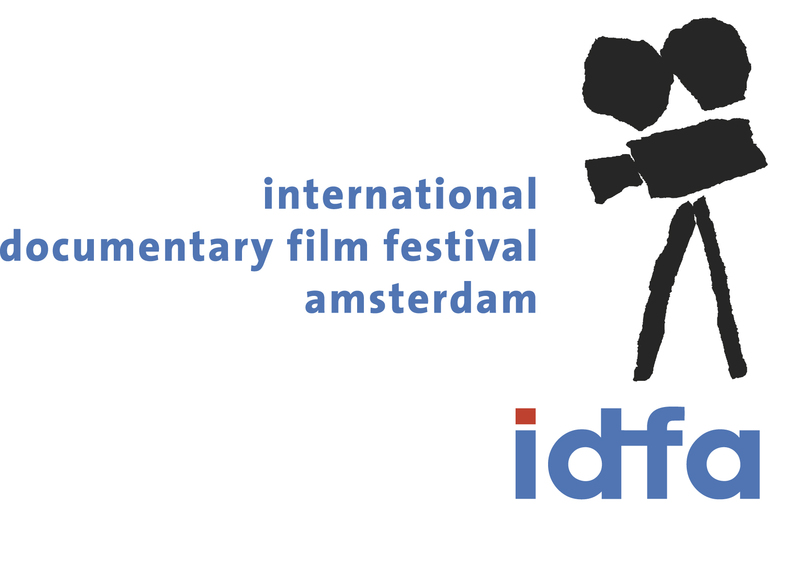 Visit the IDFA website for the full program listing, including the Forum and Docs for Sale! WMM has seven films from our Production Assistance Program playing at DOC NYC this year! Congrats to Director Laura Poitras of CITIZENFOUR who will receive the inaugural Robert and Anne Drew Award for Documentary Excellence! CITIZENFOUR will be screening at the festival along with Sundance award winner E-TEAM, SXSW winner THE GREAT INVISIBLE and the highly anticipated NYC premiere of VESSEL. Other Production Assistance films Included in the lineup: TOUGH LOVE, SOME KIND OF SPARK and FLORENCE, ARIZONA. See here for the full DOCNYC schedule. Two WMM Production Assistance films win MacArthur Documentary Fund Grants! Congratulations to Yance Ford and Vaishali Sinha, whose films STRONG ISLAND and ASK THE SEXPERT were recently awarded MacArthur Documentary Funds! The MacArthur Foundation received nearly 400 proposals in response to its most recent open call for independent documentary film proposals, and only fifteen were chosen for support. We are honored that two out of the fifteen supported projects are part of the WMM Production Assistance Program. The fifteen grants totaled more than $2 million for documentary film projects that "examine serious, timely issues all over the world in creative, engaging ways." Read more about these projects and the other films chosen here. 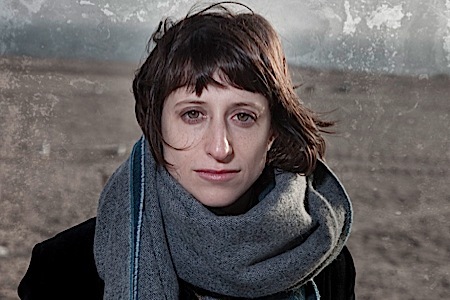 In other grants news from the Production Assistance Program, Marielle Heller's film THE DIARY OF A TEENAGE GIRL recently received a grant from Cinereach and Susan Zeig just received a grant from the Nellie Mae Education Foundation for her project EDUCATION: A Community Concern! For more information and to set your local channel click here. Part of WORLD Channel programming to celebrate Native American Heritage Month. For more information and to set your local channel click here. Congrats to Production Assistance Program filmmaker Laura Checkoway, whose film LUCKY will have its broadcast premiere on November 15 at 8pm on DirecTV's Audience Network. WMM will be showing films at four conferences this fall. We are so excited to share our 2014-2015 new releases with the education community! WMM's Amy Aquilino & Emily Sternlicht will be in attendance at NMM November 8-12 in Charleston, SC! If you're attending be sure to stop by Suite 303 for coupons, raffles and more! At our suite, visitors can view a complete collection of new releases anmmd catch special sneak previews of upcoming 2015 releases including our fantastic newest HBO acquisitions, PRIVATE VIOLENCE and REGARDING SUSAN SONTAG! Be sure to mark your calendars for WMM's Market Mania presentation on November 9 at 1:40pm. WMM has partnered with Gathr Films to bring I AM A GIRL to a theater near you! Individuals can host a screening event for their friends, family, fellow students, co-workers and community. Nominated for four Australian Academy Awards including Best Documentary and Best Director, I AM A GIRL is an inspirational feature-length documentary that paints a clear picture of the reality of what it means to be a girl in the 21st century. 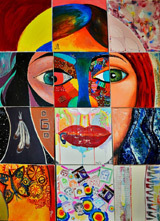 I AM A GIRL was the Signature Film Partner at this month's International Day of the Girl Summit at the United Nations. Follow this link and click Gahtr It! 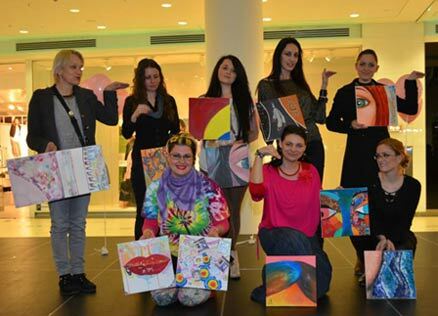 to become a FILM CHAMPION of I AM A GIRL today! For more information about I AM A GIRL see the WMM catalog. *Offer does not include 2014-2015 new releases. **Enter offer code YESDE14 to apply your 65% discount. You must purchase 5 films for the discount to be applied. Cannot be combined with any other offer. Other exceptions may apply. Offer expires 12/31/2014. Internships are still available for the Winter/Spring 2015 term in our distribution, marketing, production assistance/fiscal sponsorship, and administration departments! The ideal candidates will be studying film studies and/or women/gender studies and have an interest in human rights and social justice issues. Qualified candidates will demonstrate excellent communication skills; strong organizational skills; the ability to multi-task, work independently and work well under pressure; and will take initiative. Familiarity with Internet research, Microsoft Office Suite, and PC platforms is necessary. Knowledge of and interest in feminist media a plus. All candidates must submit an Internship Application form, resume, and references. The internship application can be found here. Spread the word! Room includes: 60" plasma monitor, PC/Mac/iPad hookups, DVD player and WiFi. Congratulations to Laura Poitras, whose film CITIZENFOUR, was just nominated for a Gotham Independent Film Award! Lorien Barlow's film HARD HATTED WOMAN was recently featured in The Huffington Post. Congratulations to Rebecca Haimowitz, who has been selected to pitch her project THE PREGNANCY EXCLUSION at the 2014 PaleyDocs Pitch Workshop Contest! 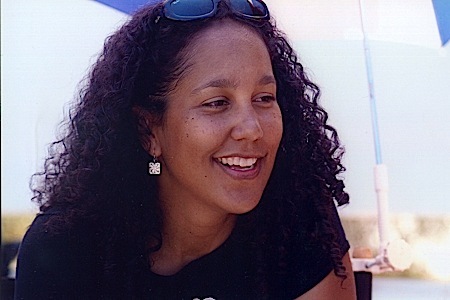 Kimberlee Bassford's film WINNING GIRL will have its premiere at the Hawaii International Film Festival. Kimi Takesue's documentary LOOKING FOR ADVENTURE has been selected for the international competition at the Montréal International Documentary Film Festival (RIDM). Filmmaker Charlene Fisk has teamed with #1 women's golfer Stacy Lewis to raise money for her history of the LPGA, The Founders Film. For more information visit here. Patrick Shen's film IN PURSUIT OF SILENCE currently has a kickstarter campaign. You can donate here. 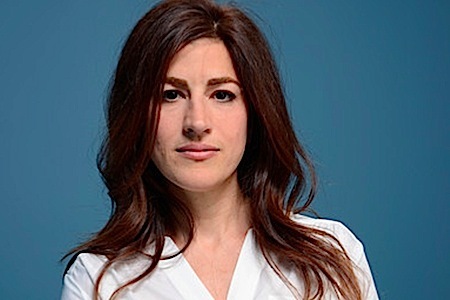 Christina Antonakos-Wallace's film WITH WINGS AND ROOTS currently has a DVN campaign. You can donate here. Heather White's WHO PAYS THE PRICE has an indiegogo campaign. You can donate here. currently studying at Bela Tarr's film.factory (http://filmfactory.ba/home.html). I write/ directed my film and I have a strong female lead role and a female Cinematographer, so we really are trying to close the gender gap in the film industry. If you can help by spreading the word in any way, even by tweeting, that would be a wonderful hep to me. In writing a piece like this, a phrase from Virginia Woolf’s To The Lighthouse comes to mind: “Women can’t paint, women can’t write.” Charles Tansley’s words echoed throughout the novel (and in Lily Briscoe’s thoughts) the way another phrase has been echoing throughout the film world over the last few years: “Women don’t direct.” It’s difficult to dignify that statement with a response, to actually construct an argument about how women, everywhere, are clearly making films (whether those films are getting deserved recognition or not). Luckily, a few brave souls like Lexi Alexander have recently taken up the task, and others are even highlighting another point—that not all creatives in the film world want to direct And while this is important to consider, today we look at the professionally creative women who dowant to direct. These ten filmmakers have either successfully completed a recent project deserving of some buzz, or they have one forthcoming—in many cases, they have both. One thing they all have in common is that they have managed to ignore the whisperings of the Mr. Tansleys of the world long enough to make a movie. And for that, we thank them. Here are ten of the many women directors (some others of whom made our list of ten black directors we’re excited about ) to look out for in 2014. 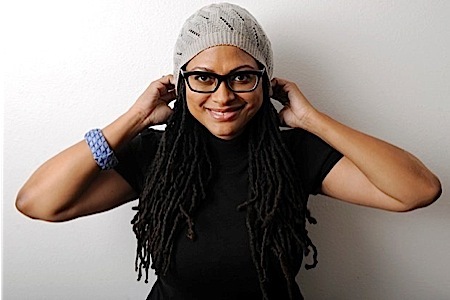 The first black woman to win Best Director at Sundance (for her second feature,Middle Of Nowhere), DuVernay has a big year ahead of her, taking on the much buzzed about film Selma, which will focus on Martin Luther King Jr.’s 1965 landmark voting rights campaign. Oprah Winfrey is producing, and David Oyelowo will be taking on the lead. 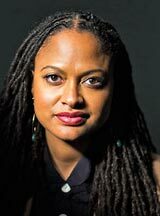 When she’s not behind the camera, DuVernay is running the African-American Film Festival Releasing Movement, an organization she started back in 2011, in an attempt to give more visibility to black cinema. Earlier this year, Schlesinger brought the amazing true story of Laura Dekker (the youngest person to sail around the world on a solo mission) to the screen withMaidentrip. The daughter of a sailor and a storyteller, Schlesinger has the spirit of an adventurer running through her veins. 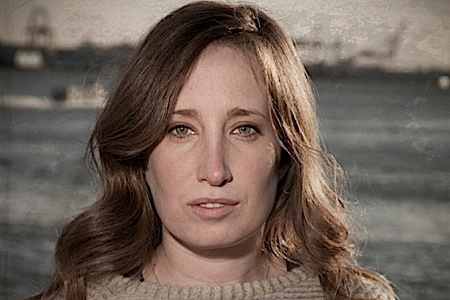 The documentary filmmaker actually started out working behind the scenes, and the film world is lucky that she decided to step out and helm her own projects. Schlesinger tells Paste that she plans on working more with young women in both documentary and narrative film. Her next project will tell the story of women pursuing undergraduate and graduate studies in artificial intelligence research. 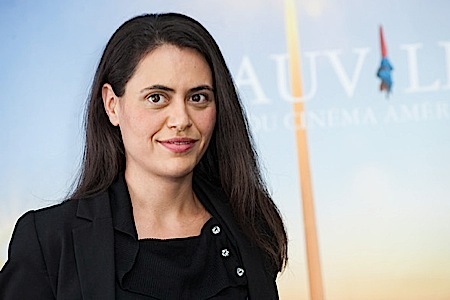 Back in 2006, Noujaim won the TED prize for her second documentary featureControl Room and used her prize wish to unite the entire film world on May 10, 2008 AKA Pangea Day. Since then, she has continued to unite the world under her lens. In an interview with Paste, Noujaim, whose documentary The Square was nominated for an Oscar this year (now on Netflix), told us that when you’re a part of a political movement, you can never really be satisfied. The good thing about that dissatisfaction is that we can rest assured that it will soon lead to another project from the supremely talented filmmaker.